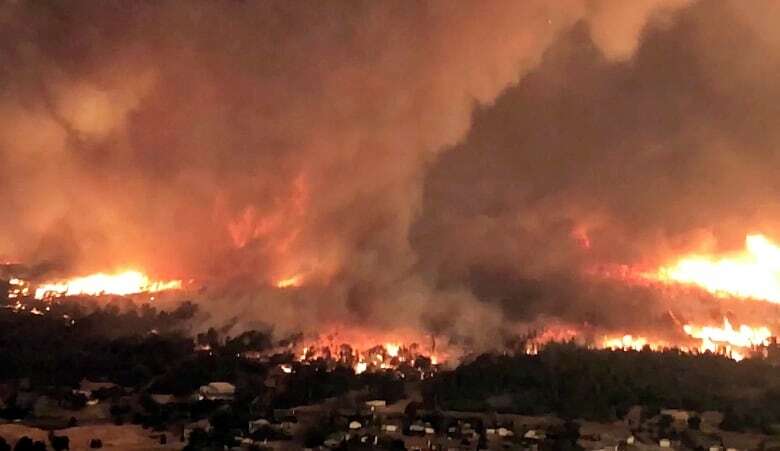 Scientists are recording more fire-induced storms and policy-makers need to address that reality in environmental and emergency strategies, according to policy expert Ed Struzik. Ed Struzik, fellow with the Institute for Energy and Environmental Policy at Queen's University, says thunderstorms triggered by wildfires — also known as pyrocumulonimbus clouds or pyroCbs — are becoming more frequent and powerful. And the storms are popping up in places where scientists have never seen them before, he writes in an article published in Yale E360, an online magazine from Connecticut-based Yale University. "They call them these dirty thunderstorms because they look black and much darker than an ordinary thunderstorm," Struzik told Daybreak South host Chris Walker. Experts observed a prime example of the phenomenon during B.C. 's disastrous 2017 wildfire season. "As fires that would eventually consume 4,700 square miles in British Columbia burned out of control, five fire-driven thunderstorms rose over the conflagration," writes Struzik, "shooting black smoke and carbon high into the lower stratosphere, spewing noxious gases that were eventually detected almost as far north as the North Pole, and touching off more fires." There has been speculation that the increase in these storms is directly related to climate change. While there's not yet enough evidence to prove that theory because it's a relatively new area of study, Struzik thinks it's likely. "It's connected to climate change," he told CBC. "Things are warming up a lot faster and that's the main ingredient you need for a pyroCb to form." As the earth's temperatures continue to climb, and are expected to for the foreseeable future, this should be cause for concern for scientists and policy-makers alike, Struzik said. "Here in Canada we've been really slow in responding to the new challenges that we're seeing from wildfires," he said, noting that pyroCbs are causing major problems for wildfire planning. "We have a federal government right now that is very good at compensating people who are impacted by fire, but not very good at funding the research that's needed for us to be able to predict and adapt to the wildfires that are going to happen in the future," Struzik said. "We've got great firefighting personnel, probably among the best in the world, but we're really using decades' old tools to fight fires that are much different in some ways than they were in the past." "There's really no way of extinguishing them," Struzik said. "It's added a new element to the suppression tactics and strategies." "I think that this really hasn't sunk in to the government policymakers."